The 2018 Kia Forte appeals to buyers of all types, with a four-door and five-door hatchback option, and is poised to dominate the compact sedan market. Why Buy the 2018 Kia Forte? Sedans are facing stiff competition from crossovers, so to compete these four- and five-door compacts need to be better than ever to make an impression. The four-door Kia Forte does just that, designed to look and perform exactly the way you’d want your sedan to behave. The front is aggressive and sporty, and the rear roofline is reminiscent of a fastback. You can also opt for the equally attractive Forte5, which offers a hatchback space that gives you more cargo space. The 2018 Kia Forte truly could compete for the best-looking car in its class. 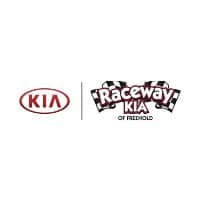 While the look of the Forte may get you to anticipate sport sedan performance, the Kia Forte is actually more of a solid and capable performer than truly sporty. The standard engine is a 2.0-liter four-cylinder that produces a useful 147 horsepower and 132 lb.-ft. of torque, sent to the front wheels through either a six-speed manual or six-speed automatic transmission. You can have more power and performance by going for the Forte in its EX trim, which then gets you a direct-injected 2.0-liter four-cylinder engine that offers 164 horsepower and 151 lb.-ft. Whatever you choose, you’ll get the look you want and the performance and power you need. You can opt between three trims, the LX, S and EX. If budget is the most important consideration, you won’t be disappointed with the base-level LX. Standard features in the LX include: keyless entry, air conditioning, a rearview camera, power features, satellite radio, Bluetooth phone connectivity, cruise control, and a steering-wheel with audio controls. If you’re looking for sporty, check out the Forte S, which adds “sport tuning” for the suspension, 16-inch alloy wheels, a rear spoiler, a chrome-tipped exhaust, LED positioning lights and a rear-view camera. If you want luxury, take a look at the top-of-the-range EX really kicks things up a notch with the likes of leather upholstery, a cooled glovebox, dual-zone full automatic temperature control, and a push-button start with Smart Key. Is the Kia Forte Good on Gas? A compact car needs good fuel economy figures to compete in today’s market, and that’s not a problem for the Kia. The Forte isn’t the most fuel-efficient car in its class, but it’s still pretty good with EPA ratings of 29 mpg in the city, 38 mpg on the highway and 32 mpg combined with the six-speed manual transmission. What is the Kia Forte Warranty? Kia offers buyers an industry-leading set of warranties, all geared toward giving you peace of mind. The first is a 10 year/100,000 mile limited powertrain warranty, followed by a set of 5 year/60,000 mile warranties: limited basic, anti-perforation, and roadside assistance.